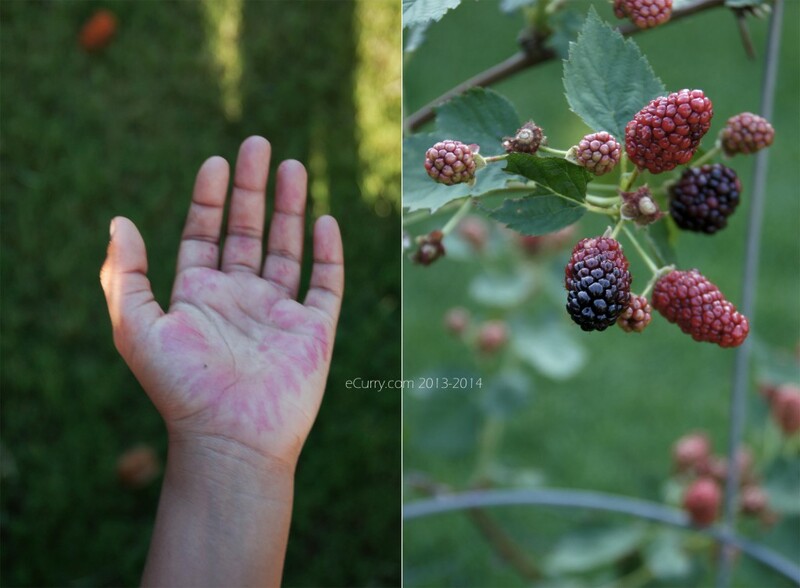 While my Indian summers were spent staining my fingers with the jamun – the java plums, the summer for my children is about getting their fingers painted with the berries. Purple, blue and pink, different shades at different times, keep them engaged as they run the berries under the cool spray of water and squat down on the floor to stuff fistful of them in their mouths, staining their lips in vibrant shades of the season. I smile as I think how I would sit with the steel bowl half filled with the jamun, tossed and shaken with salt and a pinch of sugar and ate until I took pride in my purple fingers. Then when the last of the jamun was eaten, the pits piled up on the side, I would tilt the bowl and slurp the deep lavender colored juice that remained, sweet and tart at the same time. In the same way the berries macerated in the bowl with sugar and zest, ready to be spooned on the flaky pastry short crust. I also think of how my summer afternoons used to be filled with picking fresh fruits off the trees – guavas and mangoes. How we perched ourselves up on the guava tree and bit into the pink inside of the fruit and dangled our legs. 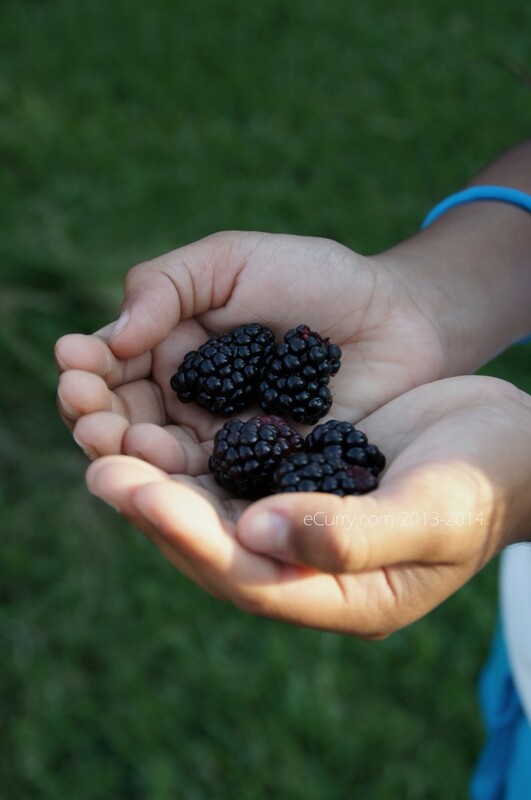 There is a different kind of joy in picking fruits fresh off the trees at home or at farms. So we had planted a tiny blackberry plant last year. To our surprise it grew and bloomed and we harvested way more than a handful of berries that we had expected. For a while we mashed the berries in fresh whipped cream and had it for our desserts. Most of the berries were eaten fresh off the bush. The plant is done with the fruit for this year I think. What remained while we were away for the vacation became a treat for the birds. 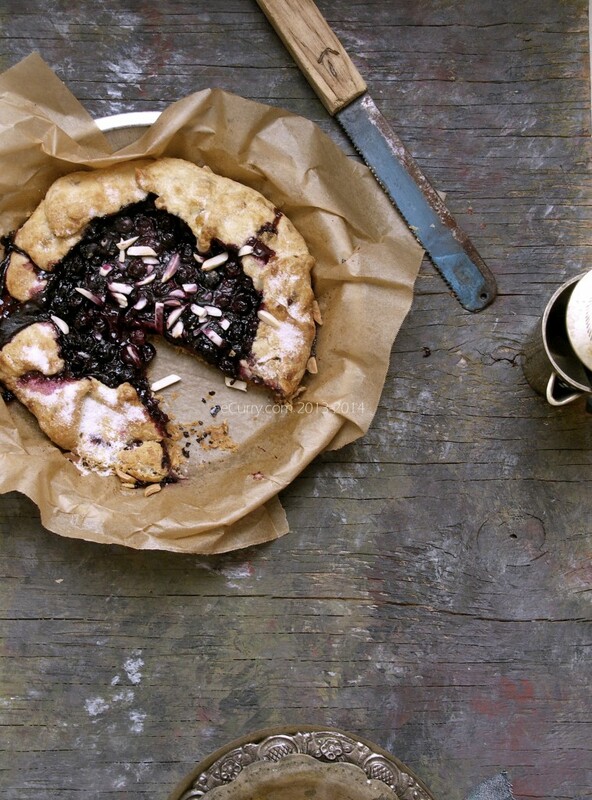 A rustic, free form tart that captures the heart of summer, filled with fresh berries and lemony zest. It is quite magical to see the fresh plump berries bubble, pop and ooze under heat and turn into that jam like thick sticky filling surrounded by the flaky pastry crust. I think this is the next best way to eat the berries after having them fresh or with whipped cream. A perfect combination. 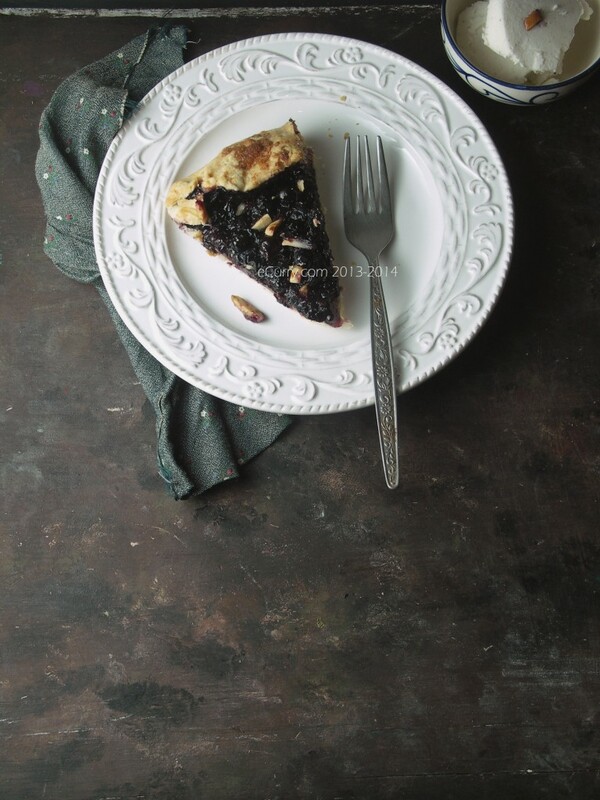 I had found a recipe in Food and Wine magazine which used candied ginger for the tart crust. I held on that idea, for my love of candied ginger. The thought of breaking the buttery crust with bits of ginger appealed to me in a way and I had to make it right away. Making the free form tarts are the summer escapades for the children. They are allowed to play with the ingredients, roll out the crust and fill them in. Once we have the pastry dough under control and stick them in the fridge for a while, we go about reading books in the bed during the late afternoon hours. 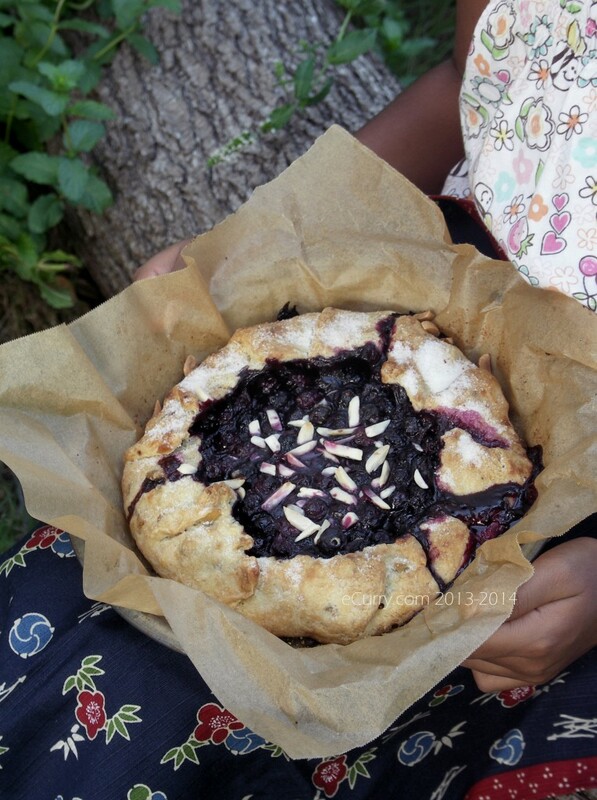 About five of clock, when the shadows start filling in the eastern corners of the yard and the breeze blows the branches of the pink curly flowers to brush on the window panes, we roll out the dough, fill the center with the macerating berries, fold and pleat the ends in any way we want. I make the big one and the children have their own little galettes. They are extra-special. Last week I baked two enormous galettes for A’s office potluck party. Some of it came home and now they are frozen – saved for the time when that sweet craving strikes without prior notice. I prepare for dinner as the galette bakes. 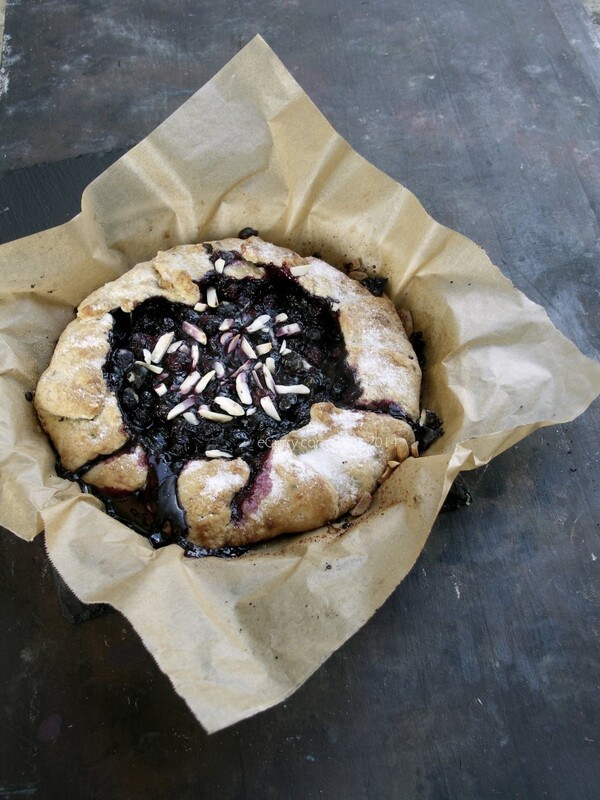 By the time we are done with our meal, the galette is ready, warm, sticky with thick purple seeping out and the merrily bubbling berries. Scoop out some lemony ice cream on the side and serve warm or at room temperature. 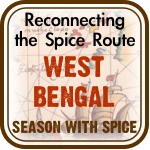 In a food processor, combine the 1 cup flour with salt and the candied ginger pulse to mix. (or you may use a pastry blender/handheld blade to mix the flour, salt and the butter). Add the butter and pulse until the flour forms the size of small peas. Sprinkle on the ice water only a little at a time and pulse just until the dough just starts to come together. Do not over work with the dough. Gently pull it together in a ball. Turn the pastry dough out onto a floured work surface/counter top and flatten it into a disk. 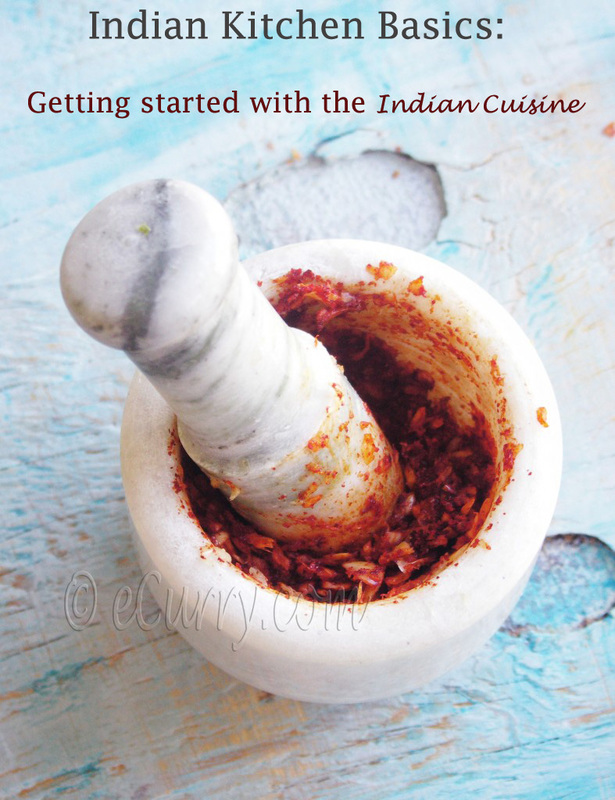 Wrap it in plastic and refrigerate for about an hour, or until firm. Line a large baking sheet with parchment paper. On a floured work surface, roll out the pastry to a 8 inch round about 1/8 inch thick. Fold the pastry in half or fourth and transfer it to the prepared baking sheet. 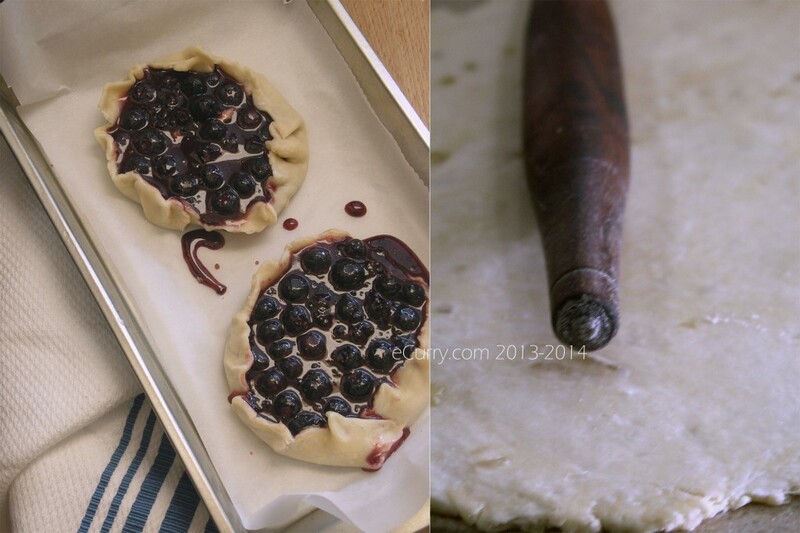 Unfold the pastry completely and refrigerate for 15 minutes. Combine sugar, zest and corn starch. Combine berries with lemon juice and mix the sugar, zest and starch with it. Allow it to sit for 20-30 minutes. 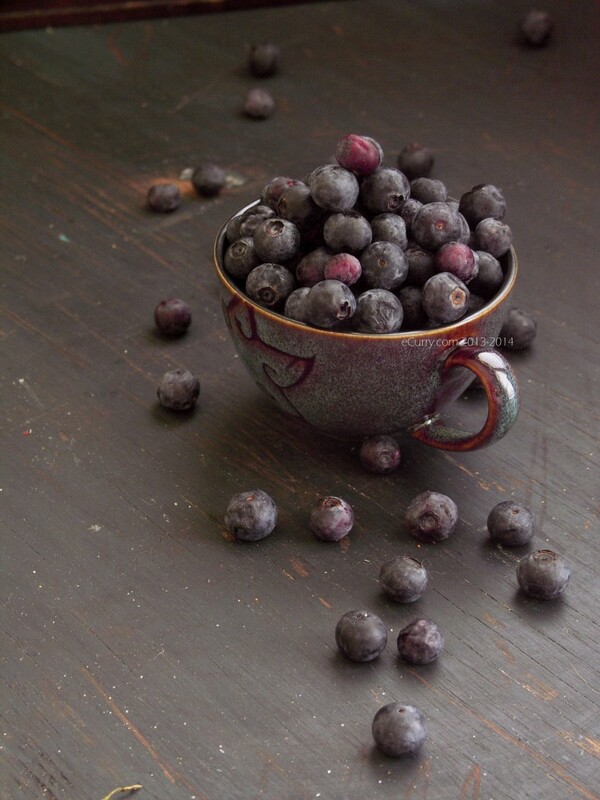 The macerated berries will have a deep blue purple color with some juice. Combine the toasted nuts with the berries. You may save some for garnish. Spoon the macerated berries in the center of the rolled out pastry, leaving a 1 1/2-inch border all around. 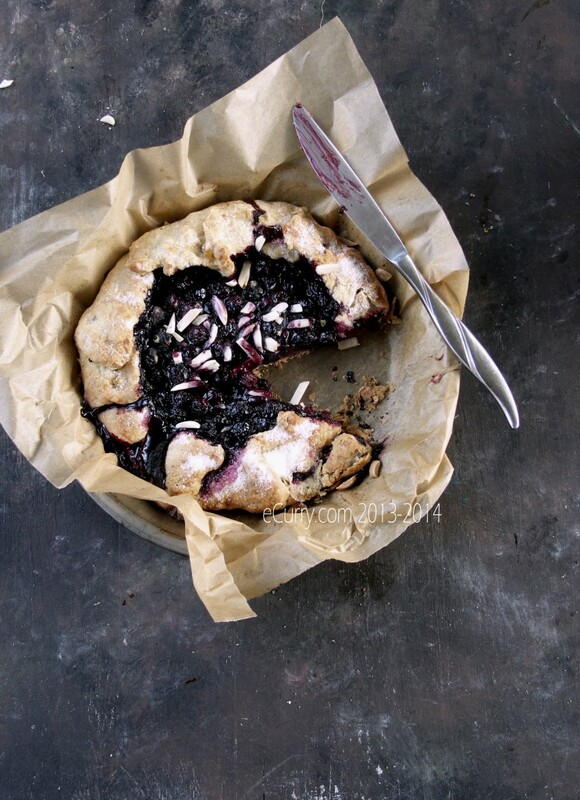 Fold the pastry border up and over the blueberries, pleating it if you need to. Brush melted butter on the pastry and sprinkle with coarse sugar. Bake for about 55 minutes, until the pastry is golden brown and the filling starts to bubble and the filling becomes sticky and jam like. Transfer the baking sheet to a cooling rack and allow the galette to cool. Garnish with more nuts if you want to. Cut into slices and serve warm or at room temperature. Serve with ice cream. NOTE:: The pastry can be made ahead and refrigerated for up to 2-3 days. Akdom phataphati. 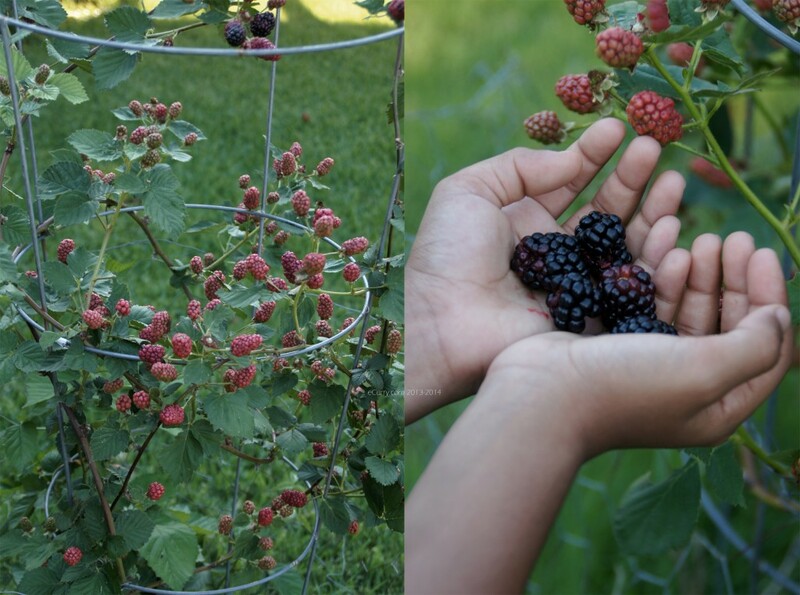 The very thought of having berries at one’s own backyard is amazing. 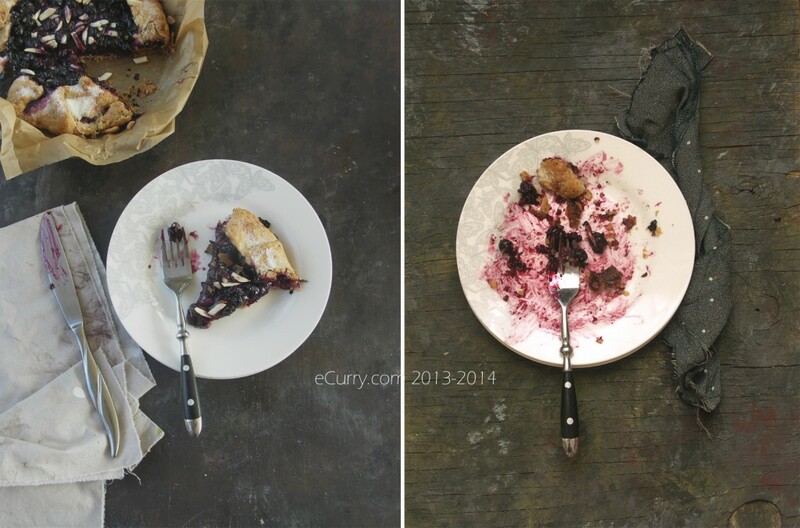 The pie looks so delicious and tasty that it must have been super hit all the way. So tempting! A wonderful galette. Those fruits are irresistible. Looks so good Soma. I esp love the clicks! It is so much fun to bake something from the fruit we pick from the garden and I love the idea of adding candied ginger. 1. I wasn’t sure about your pastry amounts as 3/4 stick is a bit vague for me. Our blocks are 250g. Do you mean 175g or so? As a general rule for pastry I do half fat to flour so will work with that if yours is those amounts? 2. Plums or peaches work well you think? 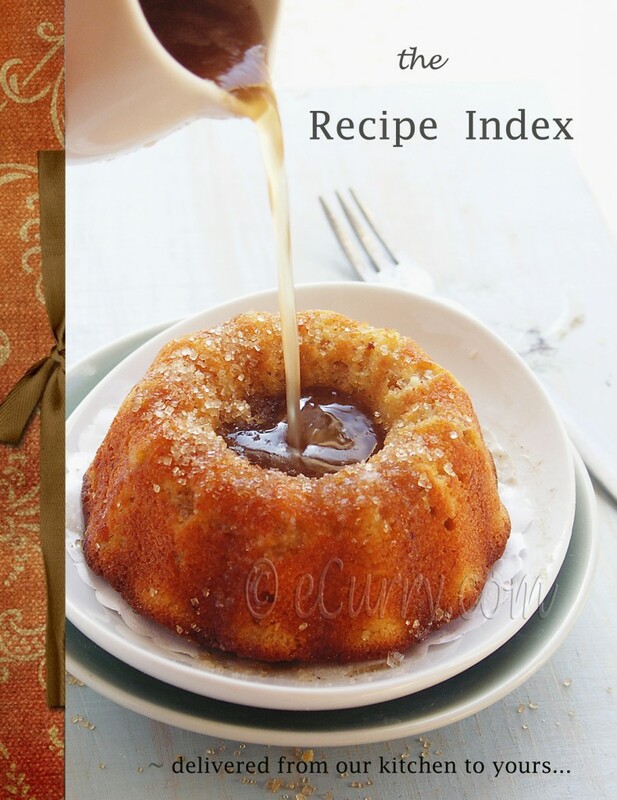 Or not juicy enough for your recipe? 3. Quick query on your painted backdrops! Did you brush paint or sponge on several dark layers of paint? I am trying to find something like the boards in your photos! 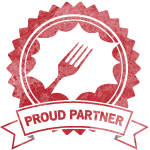 Tnx and keep on e-currying! I am sorry I cannot tell exactly the gram measurement. 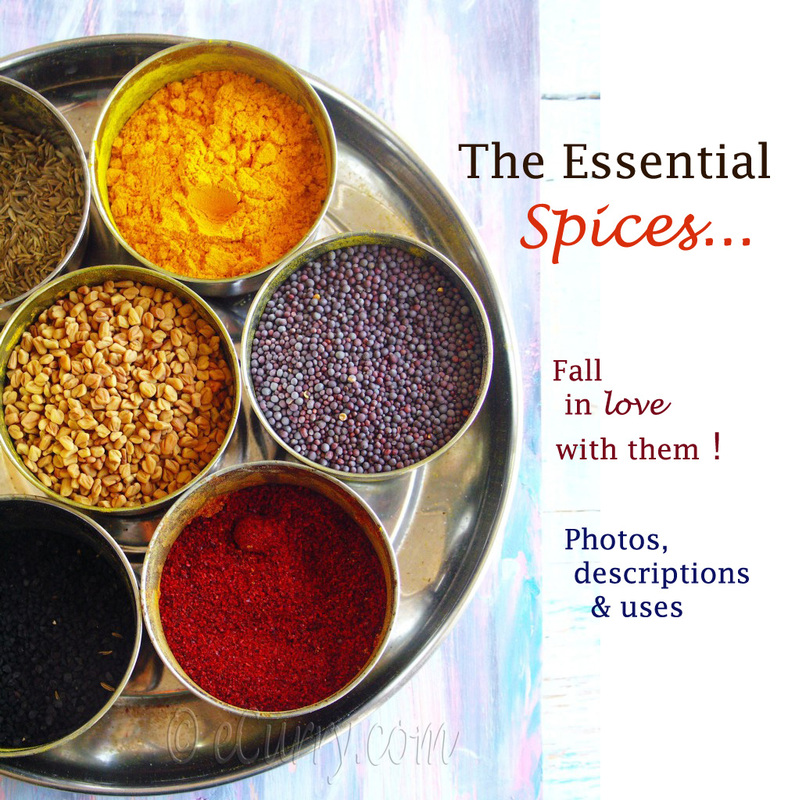 I have mentioned the amount in tablespoon in the recipe (about 6-7 tablespoon). Do you think that will help? Plums and peaches will work just as well. Just allow them to macerate for a while with sugar and some lemon juice. This is almost like a pie without a cover and I have made apple and peach pies plenty of time. Yes the backdrops are painted boards. I have done a couple of layer of solids and them used brush/sponge and also paper napkin to add some texture with a different color. Homegrown berries are just so tasty. 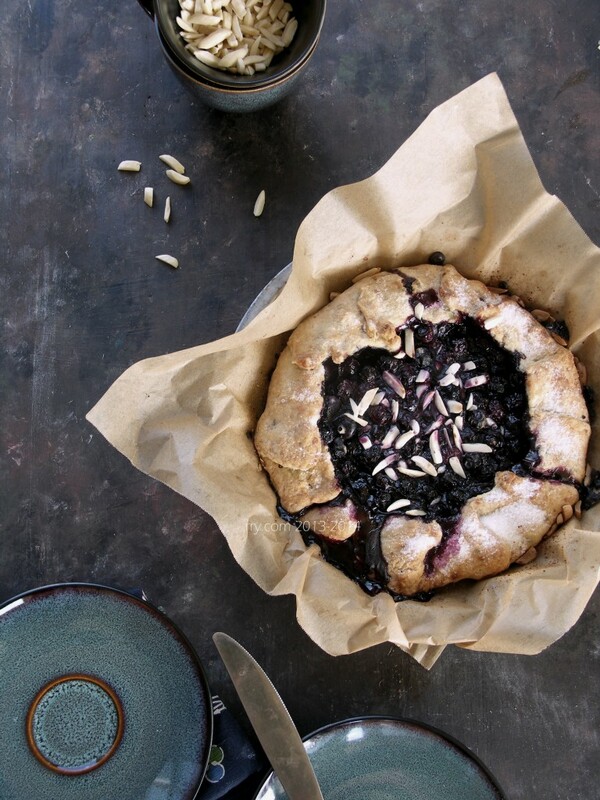 And this galette is a quick, wonderfully casual way to dig into them! Gorgeous! 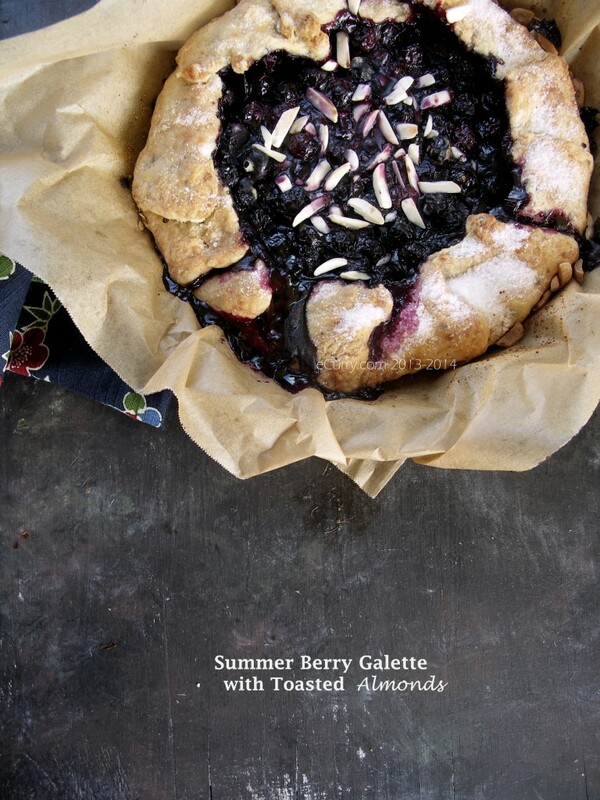 And this galette perfectly captures summer. 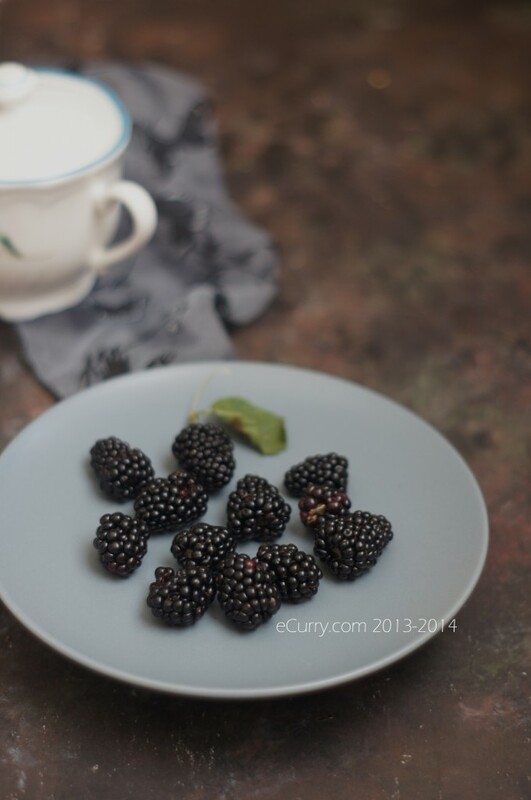 I adore blackberries but as they are rare and expensive here I just don’t buy them but rarely. I would definitely but some for this galette. Simply wanna comment on few general things, The website style and design is perfect, the subject matter is rattling excellent : D.